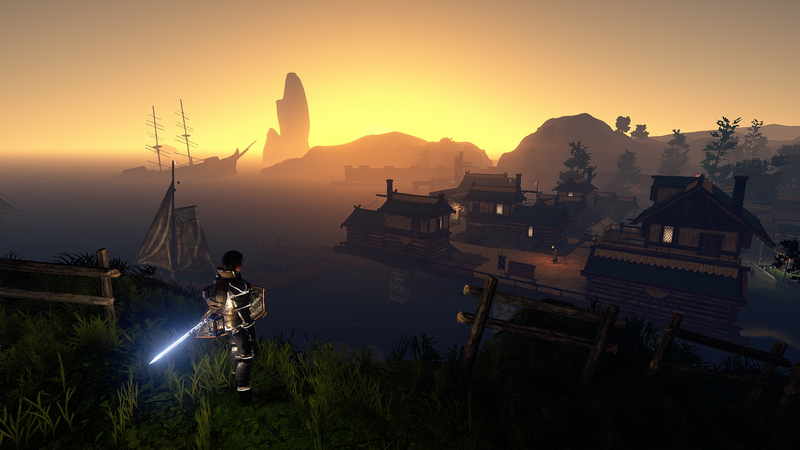 Outward is an open-world RPG game set in the Aurai fantasy realm which contains hostile enemies who are ready to attack and raid your equipment at any given chance. The world is large and feels unrestricted but requires you to use crafting skills to stay alive. It reminds us very much of the Dark Soul’s franchise. Aurai is controlled by Four factions, the Blue Chamber Collective, Holy Mission of Elatt, Soroboreans and Heroic kingdom of Levant. You are expected to join one of these factions and help them succeed. Manoeuvring around the map can be fun at first especially when you come across a few monsters and other factions to battle with. The game utilises a map similar to other open world games but we found it to be awful as there are no way points or no arrows pointing you in the right direction. This is a total nightmare especially when fast travelling as you find yourself getting lost on a regular basis. Don’t be surprised to see the map overlapping as you progress into different locations which totally becomes frustrating. The fighting elements of the game require skill, stability and stamina similar to the From Software games. The more you carry the slower you become at avoiding hits and jumping around. The combat is fast and swift but we found attacks can be very unresponsive. Graphically the game is very bland with un-inspiring landscapes and lots of empty land. We found lots of bugs and rendering issues which hopefully will be resolved in future updates but for the time being can be very annoying. Character faces are blurry and the land feels very flat, similar to a game from the PS3 era. Outward tries to deliver an expansive open-world game which it does to a certain degree but we found it was hampered by too many issues coupled with uninspiring gameplay and fun factor. Hopefully future updates will resolve lots of issues it suffers from.